More than 100,000 Bay Area residents and visitors from across the country are expected to attend fan events preceding kickoff of the 2019 College Football Playoff (CFP) National Championship at Levi Stadium on January 7. A Championship Campus experience has been developed that will transform the Bay Area region into a four-day celebration of college football. On Saturday, January 5, fans will be invited to Media Day here at SAP Center. 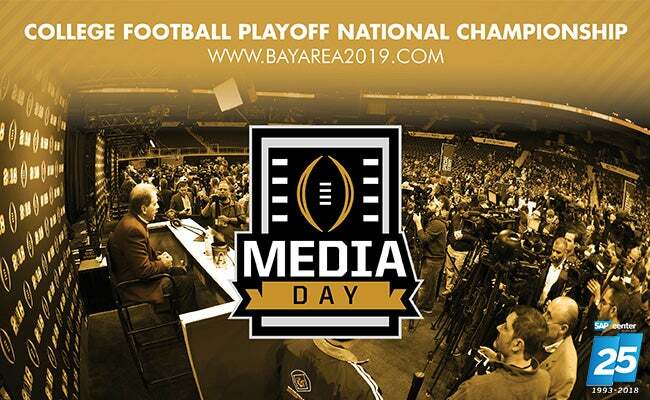 A free event, Media Day will provide fans the unique opportunity to watch and listen as members of the national media conduct interviews with coaches and student- athletes from Alabama Football and Clemson Football. The 2019 College Football Playoff National Championship will kick off on Monday, January 7. For more information on the College Football Playoff and the 2019 national championship game, visit www.collegefootballplayoff.com. To learn more about supporting local efforts and the Bay Area Host Committee, visit www.BayArea2019.com. 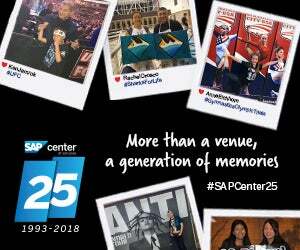 Outlined below are a few "Key Things to Know" about the event and SAP Center at San Jose. If you have any further questions, please don't hesitate to call us at 408-287-7070. Doors open at 7:30 a.m. Event is scheduled to begin at 8:30 a.m.
A clear bag policy will be enforced at all 2019 College Football Playoff National Championship events. More information here. Our entire SAP Center Guest Services team is here to make sure your visit to our venue is an exceptional one! Click here for Frequently Asked Questions. Get turn by turn directions here. Upon arrival at SAP Center at San Jose, you will have a number of easily accessible free on-site parking options. Additional parking options are available at varied prices and distances from the arena. You can view the full parking map here. 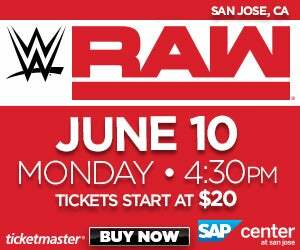 With a heavy volume of traffic expected, we encourage all attendees to take advantage of the San Jose Diridon station located immediately across the street from SAP Center. This station location allows you to easily travel to and from the event via several public transportation options. For more info, click here. Guests requiring accessible parking and a convenient passenger drop-off area may park in SAP Center’s ABC Parking Lot and enter through the North Entrance. The North Entrance is adjacent to the parking lot. A complete list of accessibility services can be found here. Download the Uber app and enter promo code SAPCENTER2019 or click here to sign up and get your first Uber ride free, up to $20. Request a ride through the Uber app and set your destination as SAP Center. Ask your driver to drop you off in our designated drop off locations on Autumn and Montgomery Streets. After the show, walk west of the arena and request your ride from the Uber Zone on Stockton Avenue for the smoothest pick-up experience.